Every thought emits a throw of the dice. The true subject of art is unity. I've been studying the works of De Stijl (1917-1924) - that moment in abstract painting and architecture in which the two entered an intimate, coordinated and prolonged liaison. 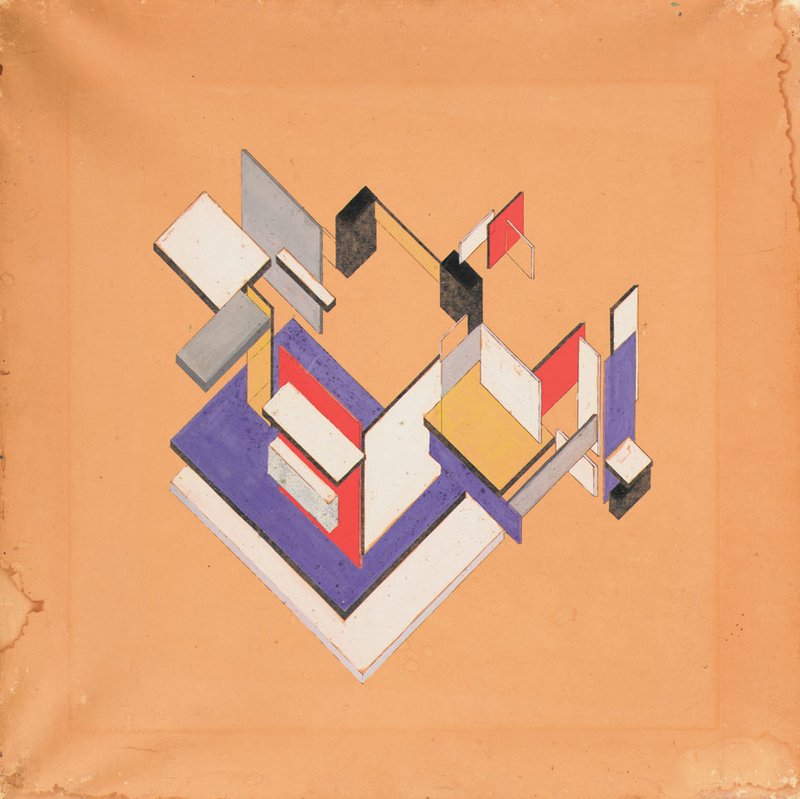 Whilst trying to unpack my own thoughts on the output of the group, I've increasingly been drawn to the schematics of founder Theo Van Doesburg, which have become a departure point for some of my recent work. In the essays of De Stijl a strict anti-individualism is the basis for an appeal to aesthetic unity in the arts. The essays talk of a "new plasticism" (Mondrian, No Axiom but the Plastic), the importance of diagonal lines (Van Doesburg, Elementarism), colour as a physical material (Van Doesburg, The New Aesthetic), and other principles often guided by a naive notion of unity. A: But I still don't understand why you favour the straight line and have come entirely to exclude the curved. B: In searching for an expression of vastness, I was led to seek the greatest tension: the straight line, because all curvature resolves into the straight, no place remains for the curved. In some ways, the graphical sensibility of De Stijl outran its conceptual positioning, in that I can see an interest in stochastic composition within the work of Mondrian and Van Doesburg that undermines their repeated claims to universalism (cf. Komposition Weiss, Komposition IX, Pier and Ocean). It's interesting to take a trajectory from De Stijl to early computer art to see how aesthetic unity as a paradigm breaks down during the decades that follow. 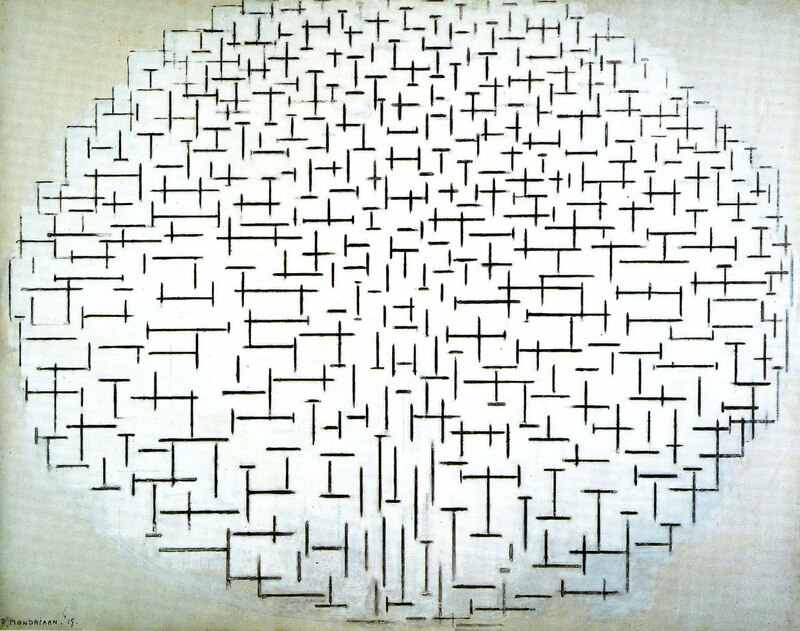 Take the pioneering stochastic works of Manfred Mohr, whose Random Walks, printed on an ink plotter in the 1960s, I was fortunate enough to see at DAM during a trip to Berlin. Their graphical resemblance to De Stijl only serves to further enmesh these works, which I see as part of a wider path taken by the Century on its way to uncovering first multiplicity, then complexity. Computation only served to unmask the full potential of aleatory composition — which pre-dates the computer algorithm through so much modernist work — turning it from an anti-motif to an embedded technique ever-present in cultural production, latent in everything from auto-tune and granular synthesis to photography filters and film cgi. The demise of the whole — as articulated by Deleuze (assemblages) and Badiou (being as inconsistent multiple) — could be considered the foundation of computer art. Computers, ever adept at exploring parameter spaces, are engines of multiplicity - they can't help but explore parametric multiples. 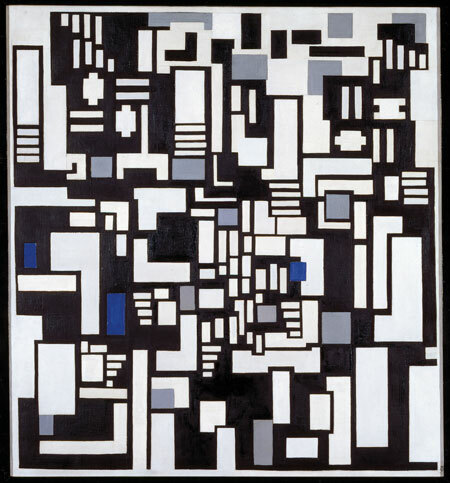 If Van Doesburg was probing how architecture and visual abstraction could intertwine (a path culminating in parametric design), Mohr was making explicit how computers could express a new understanding of order through art. The decades that followed ‘Random Walks’ were dominated culturally by the twin paradigms of fragmentation and multiplicity, leading to a climate in which a benign visual complexity has emerged as a cliché of both the abstract (digital) arts and parametric architecture. I began creating sketches using De Stijl principles at some stage along my readings, as both documentation and an exercise in encoding aesthetic knowledge, and these became a trigger for the production of a piece I call 'Markov Walks'. I've been producing alterbots. They combine mimetic and stochastic tendencies. I feed them artworks, some my own, some from the history of art. These 'alterbots' draw for me. Their brains are based on markov chains: a probabilistic, memoryless scheme trained on input graphics. The bots use these chains to conduct graphical 'walks' on a canvas. They forget where they've been. They wander. They absorb aesthetic knowledge, encoded digitally, producing original work as they go along. They exhibit a markov uncanny redolent of twitterbots. I'm in a prolonged collaboration with them. - Markov Walks (2012), teaching the alterbot to draw. 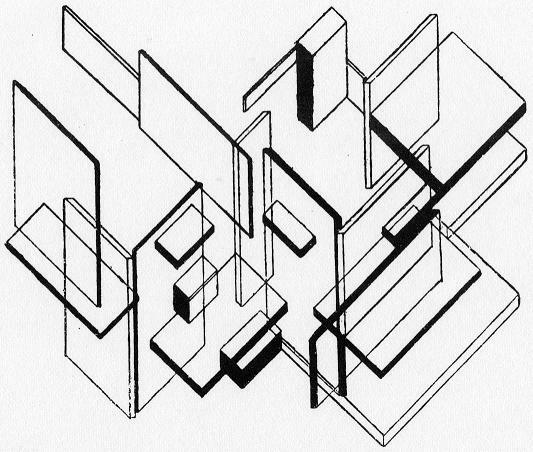 In Markov Walks I've produced a documentation of this trajectory from De Stijl to Random Walks, taking the axonometric schematics of the former, producing my own hand-drawn sketches and feeding them to my alterbot to produce a modern variant of the latter. I think of it as artist and algorithm working closely in a joint wandering, a form of 21st Century dérive through a period that shaped our present aesthetic sensibilities. You can see the whole piece over at st.dio 012.